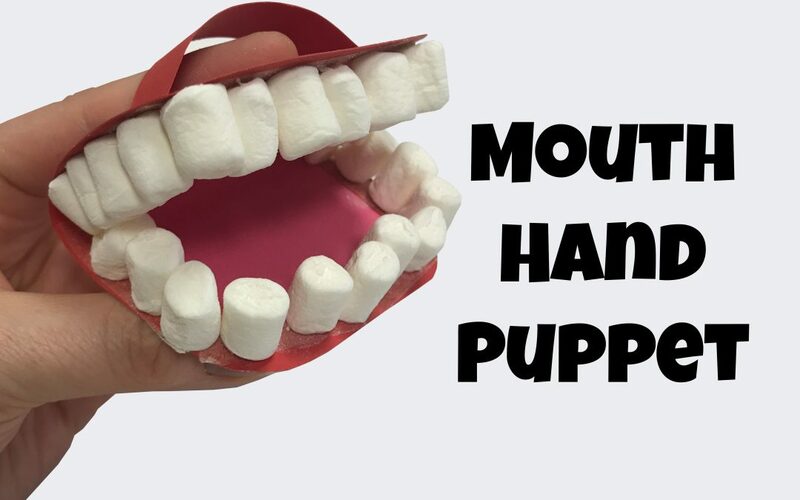 This ‘mouth hand puppet’ craft is really fun and fairly straightforward to make. 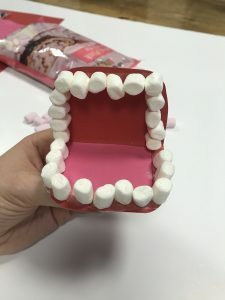 You will need red card, pink paper, markers, tape and marshmallows (optional). First you will need to cut out a rectangle in the red card. Fold the red card in half. Cut the corners off the red card and make them rounded. Cut two strips of red card. Fold in the ends of the strips of card. Tape the ends onto the back of the red rectangle. Fold the ends of the second red strip. Tape the ends onto the top of the red rectangle. 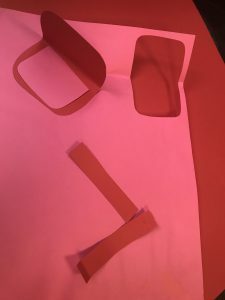 Cut a smaller pink semicircle out of the pink paper for the tongue. Glue or tape the tongue inside the mouth. 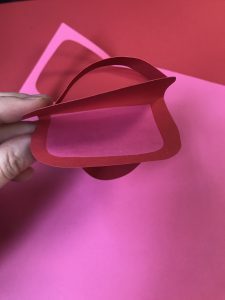 Use double sided tape around the inside of the red card mouth. Stick white mini marshamallows tightly all the way around the mouth. 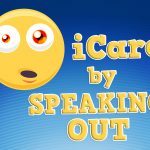 My words: The words I speak can bring life or death to others. God gave me a mouth to glorify Him and to help others. How am I going to use my words for Him? God’s Word: Did you know that God speaks? He speaks in many different ways. 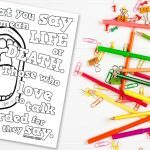 The ‘MouthHand Puppet’ craft is a good way to remember that God’s Word speaks to us – it is God’s word to us. 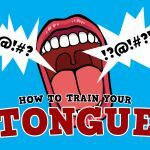 The Tongue: The ‘Mouth Hand Puppet’ reminds me of the Book of James and the passage in James 1 when it tells us how difficult it is to control the tongue. Do you find it easy to control your tongue? It’s easy to control this puppet, but how easy do you find it to think about and control the words that you speak? The Power of Words: Our words have power! That’s why it’s important that we try to keep control of our words… we need God’s help to do that! Just as God spoke the very first words in Genesis 1 – life giving words – He has powerful words for us to speak too! 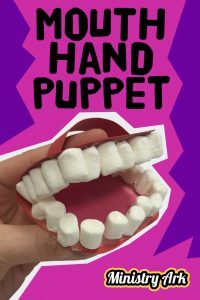 Prophets/Messengers of God: The ‘Mouth Hand Puppet’ craft helps us to remember that God gives each of us words to speak out. Just as we move the mouth of our puppet God wants us to use our mouths to speak words of truth for Him. He sent prophets with words to tell people – messages to tell people, and He still sends messengers to speak out today!